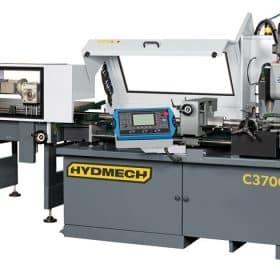 The HYDMECH C350-2S Cold Saw has an ergonomically positioned control panel that includes a main disconnect, a programmable sawing stroke, a saw head feed control dial and a LED display for machine diagnostics. 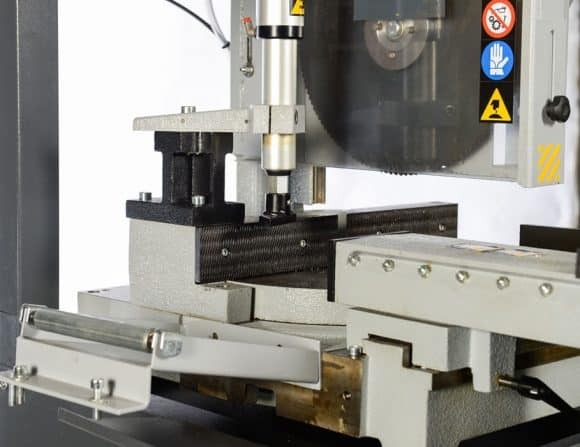 It miters from 60 degrees left to 45 degrees right. 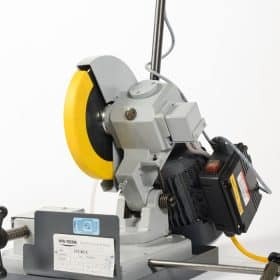 It also features a 4 1/2’’ round hollow capacity, has a 2.5/3.5 HP motor and supports a 14’’ blade. 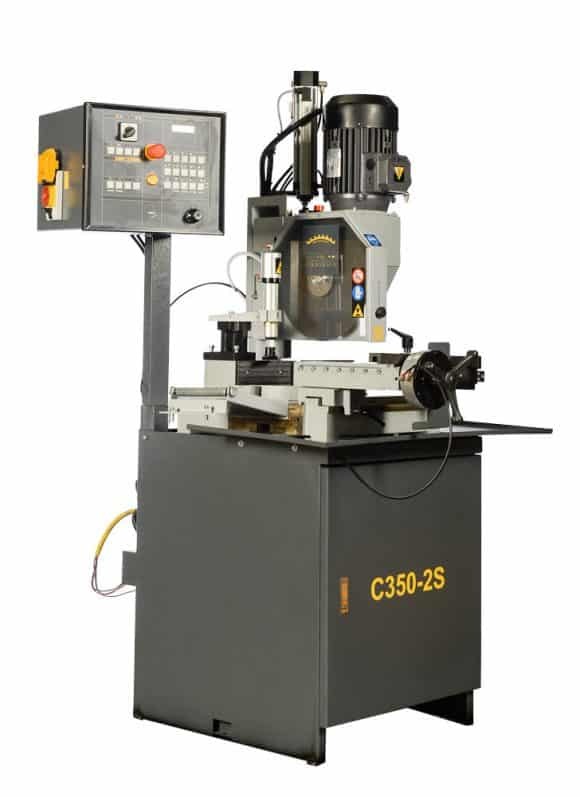 The C350-2S is the go-to cold saw when you want a quick, clean and accurate metal cutting job. It has a 4 speed blade rpm. It has an anti-burr clamp that has a double locking system. 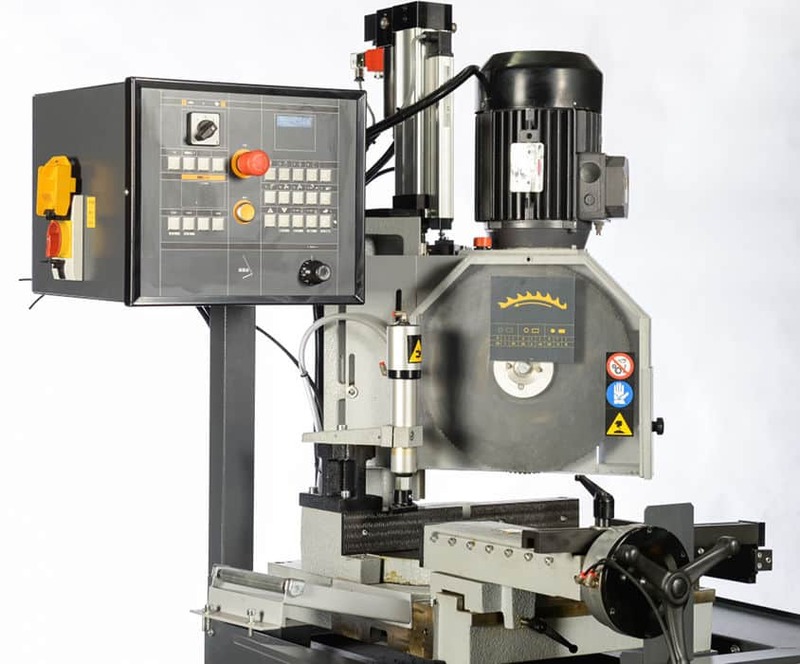 It has a vertical pneumatic vise. 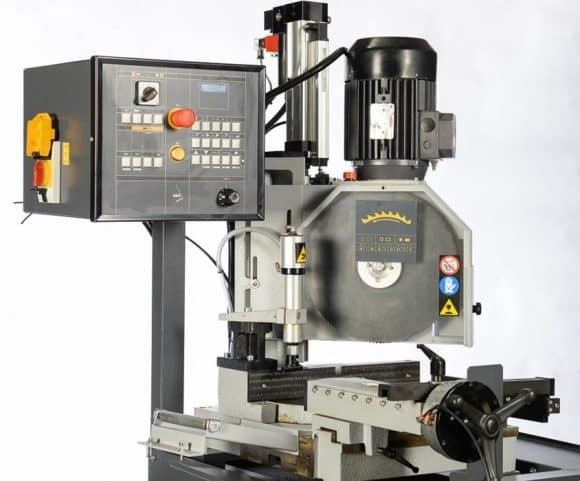 Its pneumatic operating vise is capable of sliding on dovetail so as to adjust with the saw head mitered position. It has an enclosed steel base that has a chip drawer and a coolant tank. 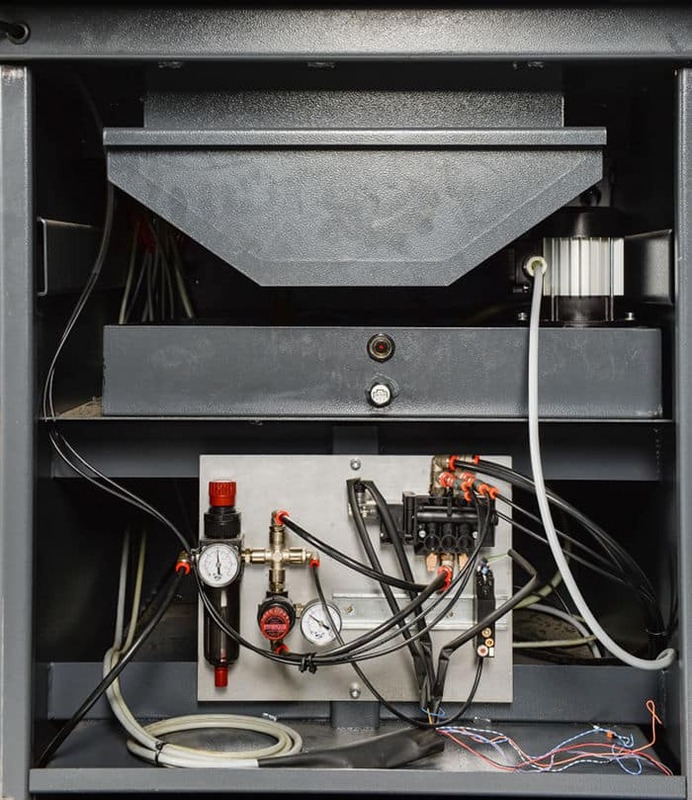 It has a flood coolant system coupled with an electrical pump. 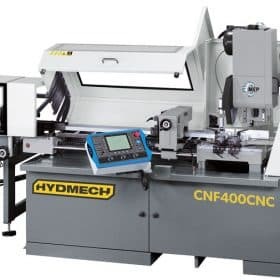 It has a thick sawing head which has pneumatic movement on adjustable dual precision linear bearings.